The Philadelphia Baseball Review released its College Player of the Week awards for the period ending February 18. 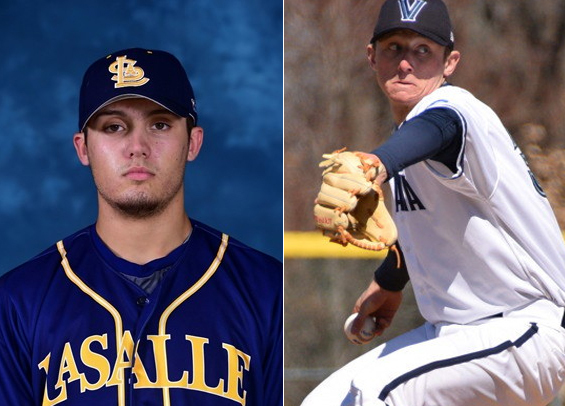 La Salle junior first baseman Ben Faso was named the Philadelphia Baseball Review's Hitter of the Week, while Villanova senior right-handed pitcher Ryan Doty was named Philadelphia Baseball Review's Pitcher of the Week. Faso collected eight hits over the weekend, including a four-hit performance on Saturday in the nightcap of a doubleheader against Presbyterian. He added a two-run single on Sunday and finished the week hitting .471 with a .526 OBP. He also led all city players with 4.21 runs created. Doty pieced together a masterful appearance for Villanova and was the only hurler in the city to toss six innings. He carried a no-hitter into the sixth and finished with 10 strikeouts, a high for the weekend. The 10 strikeouts marked the most by a Wildcats starting pitcher in their first start of the season since 2010.